Top quality made even better. Once again, CINEMA 4D convinces with its forward-looking innovation, ease of use and legendary stability. 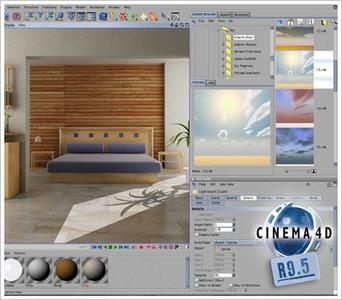 The actual release of CINEMA 4D offers you more possibilities than ever before, whether for film, television, advertising, scientific simulations, architecture, product design or any other field that demands professional results. Its one-of-a-kind modular system and the ease with which it can be learned make CINEMA 4D the ideal tool for any purpose and every budget.